The police told the court they will get sanction from the state government within 10 days. 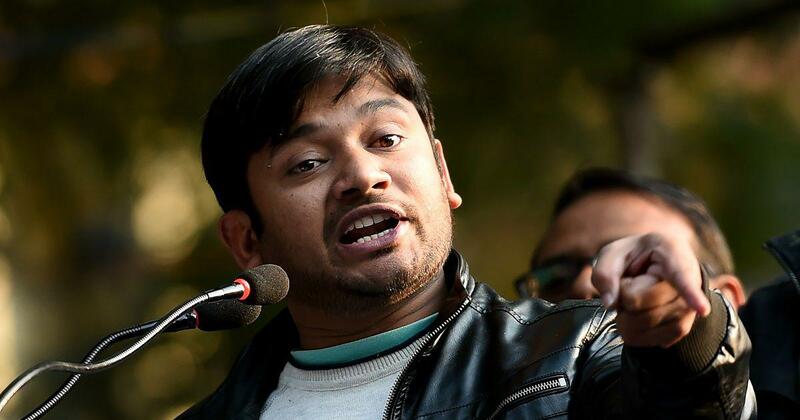 A court in Delhi on Saturday criticised the Delhi Police for filing a chargesheet against former Jawaharlal Nehru University student leader Kanhaiya Kumar and others without the approval of the state government, NDTV reported. The Delhi Police told the court that it will get approval from the government in 10 days. The court has granted them time till February 6 to obtain requisite sanctions. “You don’t have approval from legal department, why did you file chargesheet without approval?” the court asked the police, according to ANI. The Delhi Police’s anti-terrorism wing filed a 1,200-page chargesheet on Monday at the Patiala House Court, almost three years after the alleged incident in which several students allegedly shouted anti-national slogans. The protest, which was against the hanging of Parliament attack convict Afzal Guru, had led to outrage by Hindutva groups. The chargesheet named Kanhaiya Kumar, and his fellow student activists Umar Khalid and Anirban Bhattacharya. Kumar was the president of the Jawaharlal Nehru University Students’ Union at the time of the incident. The police have cited both oral and electronic evidence. Kanhaiya Kumar has said that the case against him is “politically motivated”. “When the magisterial inquiry was done, it was concluded that no JNU student was involved,” he told NDTV after the chargesheet was filed.